Namaste Everyone! Good news for iOS users, Apple has added a multiple Face ID functionality on iOS 12. 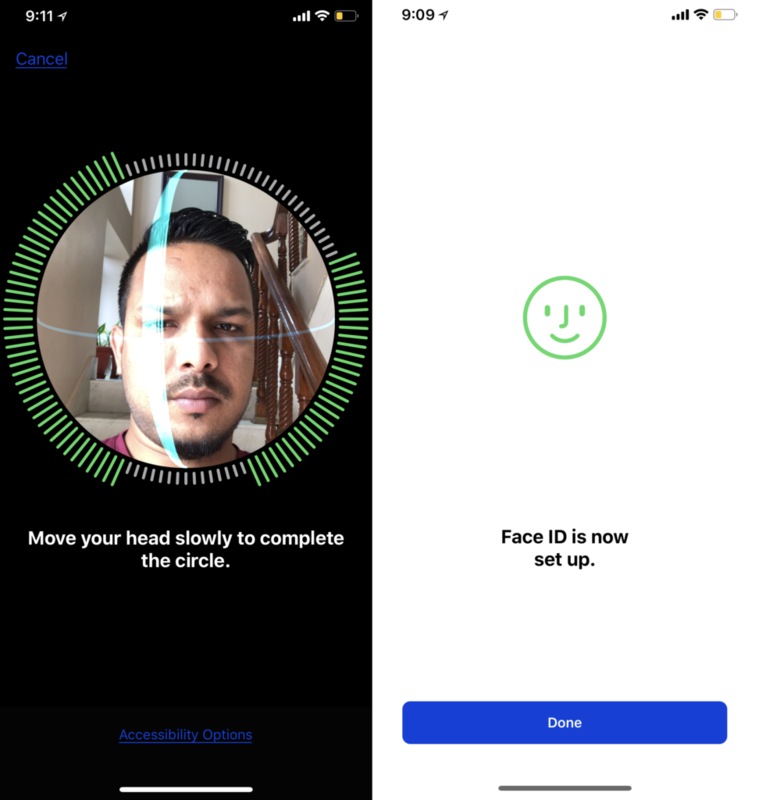 You can now set up Multiple Face ID on iPhone X running iOS 12. Like before in iOS 11, you have only one Face ID and no alternative to unlock your device. It was sometime a bit difficult if you want to allow your friend or any family member to unlock the device with Face ID. Now you can set at least two Face ID alternative appearance on iPhone X in iOS 12. Apple has done a great job on it along with many other features. So, if you want a dual Face ID of yours or allow your family member to unlock your iPhone X, then here’s a guide to set dual Face ID on iPhone X in iOS 12 by setting an alternative appearance of yours. Face ID: iPhone can organize the unique, three-dimensional features of your face to allow secure access to apps and payments. Face ID authenticates you using the TrueDepth camera. Face ID is used to make payments with Apple Pay, making purchases with the App Store and authenticating within apps. Setting up an alternate Face ID in iOS 12 is pretty simple like you have done in previous iOS version on iPhone X. 2. Tap on Face ID and Passcode. 4. Next, tap on Set Up an Alternative Appearance. 5. Now, tap on Get Started. 6. Here position your face in the camera circle, and then move your head to all angle. It will scan and detects your face. Then tap on Continue. 7. After you have scanned your face, you need to repeat again and tap on done. That’s all. You can now access your iPhone X with multiple Face ID appearance. Stay with us for more tips and updates regarding iOS 12.
iOS 12 Vs iOS 11 Speed Test!